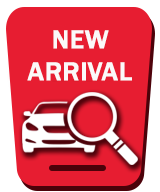 Another reason to consider Honda New Richmond first for your next automotive purchase is our team of financing experts, on hand to provide you with all the information you need to make the right choice. What's more, our network of financial partners ensures we can find you the lowest rate available. Need second chance credit? No problem! Simply fill out our secure online form and get approved for credit, no matter your current situation. We make it very easy! I wish to receive recalls, news and promotions emails from Honda New Richmond.